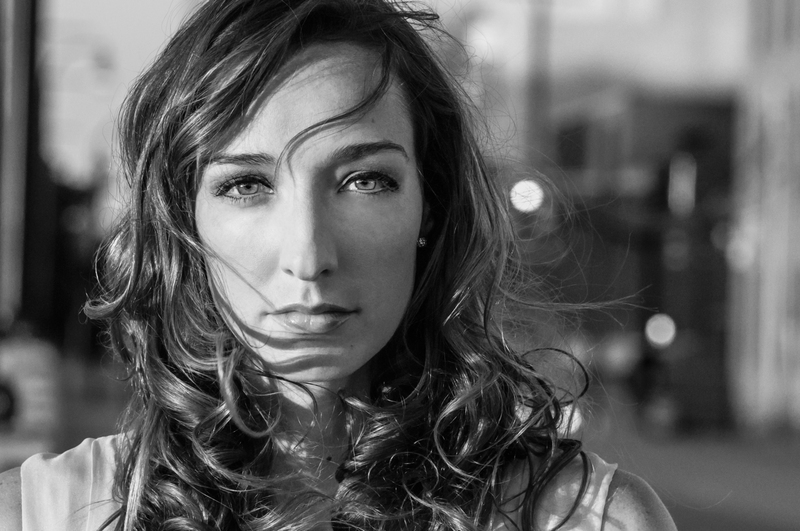 I’m so… excited to introduce this month’s Dreamer in the Spotlight, Jenn Bostic! Hopefully, you are already familiar with her, but if not I know you’ll be one of her newest fans after reading this post and checking out her music! I met Jenn through my husband, Adam, who has played some shows and writers’ rounds with her over the past couple years. I remember Adam being very impressed that she led all the artists in prayer prior to a show one night. Jenn is a genuine, joyful person with a lot of talent and drive! I know you’ll enjoy getting to know her in the next few paragraphs! 1. A lot of exciting things have been happening for you over the past several months! What is your favorite accomplishment or moment so far? Wow, that’s a tough question. I feel so incredibly blessed by all that’s been happening. I had the opportunity to headline a tour in the UK & Ireland during February and March, filmed a music video for my new single “Not Yet,” and have continued to see people connect to the music on an overwhelming scale. I think one of the most surreal moments has to be my Grand Ole Opry debut on February 16th. It was the 17th anniversary of my dad’s passing that night and I performed “Jealous of the Angels” in his honor. I was completely humbled to receive a standing ovation that night, it’s something I’ll treasure in my heart forever. 2. “Jealous of the Angels” has been a huge song for you and meaningful to so many people. Can you tell those, who aren’t familiar with your music and background, a little about your motivation for writing this special song? When I was 10 years old, I was in a car accident that unfortunately took my dad with it. He was my hero, the first person to ever inspire me to play music. I used songwriting as a form of therapy to get through the pain. Fourteen years after the accident I finally managed to put everything I was feeling into one song, called “Jealous of the Angels.” I wrote the song with Nashville songwriters Jimmy Fortune and Zach Runquist. When we were finished I felt this weight lift from my shoulders, thinking I had finally allowed myself some true healing. I had no idea that people were going to connect to the song the way they have. I thought it was too personal. However, to my surprise it has been a beautiful journey of comfort and peace for those who have suffered loss. It is overwhelming to see God working through this song and I feel honored that people have opened their hearts to me. 3. What is in store for you this year? What goals do you have for your music? This week* I’m very excited to be releasing a brand new music video for “Not Yet,” which is now available in the United States on iTunes. I’m really looking forward to hitting the road and touring my new record “Jealous,” which will be available in the states on June 11th. It has been amazing to see people connecting with the record in the United Kingdom and I am anxious to share it in the US. Of course the ultimate goal would be to win a Grammy someday, but as I have created new relationships with fans who have really been moved by the music, a lot of my goals have shifted from winning awards to seeing healing and inspiration on a larger scale. I’m really looking forward to seeing what happens this year! *Video was released the week of April 14th at time of interview. 4. Do you have any advice to share with those who are trying to pursue their own dreams and overcome obstacles? Thanks, Jenn, for inspiring us! Congratulations on all the great stuff you are celebrating now! Be sure to visit Jenn’s website. If you want to see Jenn live, she has an online Stageit show this coming Sunday, April 28th, at 2PM CST. Also, Jenn will be performing again at the Grand Ole Opry on June 14th! Special Shout-out: All of the beautiful photographs featured in this post were taken by Jenn’s husband, Michael Ernst, of Bostic Outdoor Photography! So much talent in one couple! Sometimes pursuing dreams can be selfish. We may be so focused on achieving what we want to accomplish so that we can make more money, be recognized, feel valued, etc., that we risk damaging relationships and destroying our faith. So, how do we know when our dreams are good or when they are detrimental to us or others? I think the answer comes when we take a look at what it means to have a vocation. A few nights ago my little girl, Isabel, came into my office at home after her bath. With a huge smile, she walked over, grabbed my phone, held it to her ear, and said, “Call me, daddy!” I played along for a few minutes and then she came over, got up into my lap, buried her head in my chest and gave me a big hug. It was one of those times when I was able to be completely in the moment… and I was happy. If I think back a few years, I was not so happy. I wasn’t unhappy. I loved my work, but something was missing. I didn’t have the deep peace and joy I have today. What was missing? Vocation. We talk a lot about it, but too often our talk is sterile and dispassionate. But vocation really is a thing of beauty. It is that thing that helps us make sense of everything. It is the feeling of finally being at home in our own lives. It is that place where your unique ability explodes usefully. It is the thing of great worth. It also requires tremendous work. How are you doing with your vocation? This Lent, I would like to encourage you to either search more rigorously for your vocation or give your vocation another look and recommit to it. Take it to the next level. The world and the Church need more people who love life and live it with passion and purpose. Vocation animates us – brings us to life. Vocation fills us with a peace and joy that is immeasurable if we embrace and dedicate ourselves to our call. […] when we use the word vocation we introduce a vertical dimension into our life, especially into our thinking process and decisions, since the point of reference when we talk about vocation is God’s will – what we believe he is calling us to do with our life, the purpose for which he created us as it relates to the salvation of our own soul and the salvation of others. So a vocation is not something you switch out of on a whim, since it is not something you go into lightly. 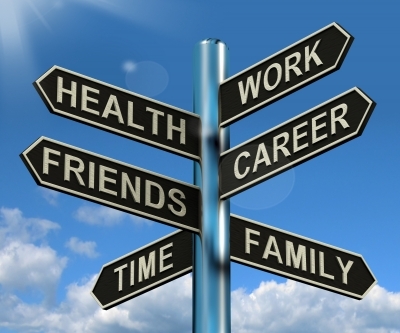 In following a vocation the main question is: What does God want? and not: What do I prefer? So it would be a major mistake to approach a vocation to the priestly or consecrated life, or to marriage, thinking only of ourselves and not being willing to commit ourselves to it, “for better or for worse” because we know God wants us to see it through. And so, if there is ever a conflict between our profession and our vocation, it is always the vocation that has to win. A married person who knows that a career opportunity that opens up to him will most probably destroy his marriage must opt for his marriage vocation even if the price is his career. A baptized doctor who risks losing his license if he refuses to do certain immoral procedures will follow his Christian vocation and even at the cost of his medical career. A priest who is a great success in a particular field of ministry and is asked by his bishop to serve in a different area must follow his priestly vocation which includes obedience to his bishop, rather than his “success” in a particular field. I think the key when evaluating our dreams, is to always be sure that our aspirations are under the umbrella of our vocation. Just as the article above mentions, if our goals are at the expense of living out our vocation, then they must be abandoned or reconstructed. For us personally, the re-working of goals is why many of you may have been wondering why Adam’s website isn’t up yet or why we haven’t been promoting any new songs. In addition to a lack of ample time, we have been going through a process of identifying priorities, finding nuggets of truth and wisdom, and assessing how everything fits in with our vocation of helping each other get to heaven and raising holy children. I firmly believe that God wants to use Adam’s musical talents to reach people, but just how that all is going to happen is still in the works! I have already seen how much grace and peace he has given us especially in the past year, so even though the road ahead is a mystery, I have no doubt that we are on the right path. When we stop trying to do things our own way and embrace God’s plan for our life, we will find true joy that is unattainable anywhere else! Let me just start out by saying that I am truly blessed to be married to my husband, Adam! In this world of broken marriages, fatherless children, and faithless families, I have a man who desires to do God’s will and be a loving, engaged husband and father. When asked by other musicians about what he has been up to lately, Adam tells them, “I’m the happiest I’ve ever been” despite not having much time to focus on anything musically. Are our lives now quite like we envisioned they would be eight years ago? No…and yes! No, Adam is not where we thought he’d be in his music career right now. We are both working full-time jobs. We live in a house with too many crazy issues that we have to spend more money on than we’d like. Yes, because we get to be the parents of two beautiful, silly girls. Adam writes meaningful, amazing music. We’re able to pay the bills. We work together as a team to take care of our home and family. We’re continuing to grow closer to God and discuss his will for our lives. Most recently on this journey of discovering what God is calling us, particularly Adam, to do in regards to his career, Adam has found what he is really passionate about – Being a good father and encouraging other men to do the same. When our oldest daughter was born, he read Strong Fathers, Strong Daughters by Dr. Meg Meeker. He loved it! In December, he stumbled across the documentary, Absent, by Justin Hunt on Netflix. Absent is about the effect that disengaged fathers have on their children and how this lack of a relationship affects society. We also recently watched Courageous, a movie about this same topic. What’s interesting is that independent of these movies, Adam was already thinking a lot about this. These two films just reinforced that God is trying to show him something! 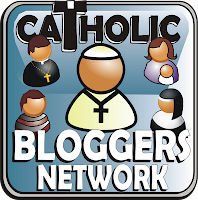 The path that we are exploring now includes possibly recording a CD of his latest real, positive music and putting together his own story for Catholic Men’s Conferences. This would allow him to do what he loves and spread a message that can inspire others. Adam relates to people very well and would be a great speaker. This is definitely just the tip of the iceberg, but we feel that God is definitely giving us some sort of direction. You can’t fall asleep at the wheel, only to wake up one day and realize that your job or your hobbies have no eternal value, but the souls of your children do. Please pray for us as we continue to discern God’s call in our lives. We will do the same for you! 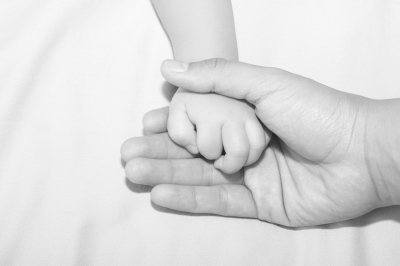 Let’s also pray that more men will have the courage to be good fathers to their children! Thank you to all the wonderful men out there who are already amazing husbands and fathers! Your value in this world is priceless! I’d like to also say a special thank you to my own father. Thanks, Dad, for always finding time to support my interests and challenging me to be the best version of myself! Over the Thanksgiving weekend we spent time at my parents’ house. 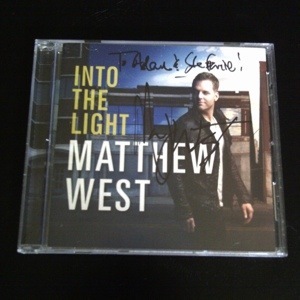 I heard my dad showing Adam the latest Matthew West CD, Into the Light, that he recently bought. (I was familiar with Matthew West’s background and some of his music already, but not a dedicated fan – yet!) We started discussing how he is the type of artist that Adam aspires to be and it would be neat if he could meet with him over lunch or whatever to ask him some questions and get some insight into how he balances family and music, etc. About a week later, my dad emails me details about an opportunity to randomly win two tickets to an in-studio performance by Matthew West in Nashville. Without giving it much thought, and noting that the timing was too perfect to be a coincidence, I entered the contest. A few days later I received an email that I was one of the winners! I really wasn’t surprised that I won, because I sensed that God was trying to speak to us, especially Adam, through Matthew. (I later found out that even my dad wasn’t surprised, because after I told him I entered the contest, he decided he didn’t need to enter it anymore!) Let me just note, that if it wasn’t for my dad getting Matthew West’s CD and showing it to Adam just a week prior, he probably would not have alerted me about the contest! 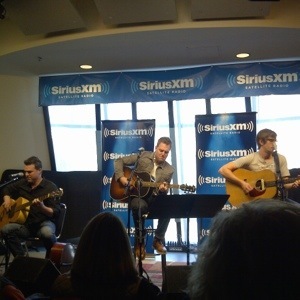 So back to the SiriusXM performance at the Bridgestone Arena… There was only about 40-50 people in this small room above the Visitor’s Center, and I’m sure each person that day was supposed to be there for a reason. (That’s the great thing about Matthew West’s concerts – I don’t see how anyone can leave and not be affected and changed in some way.) Adam said that he could feel the Holy Spirit in the room, and I definitely agree! For those who aren’t familiar with Matthew West, his past two albums have consisted of songs written about some of the heart-breaking personal experiences he has received in over 20,000 letters. Each of his songs is about a specific individual and what God’s response would be to offer hope and healing. To listen to the songs and read these stories, check out Matthew West’s website. He has found a way to make his music career not about himself, but about encouraging others! How refreshing and inspirational! It’s something that Adam has really struggled with lately when thinking about his future music plans. He does not want to do music for his own sake, for money, or for fame. Adam wants to use his music to make a difference and he doesn’t want to promote himself just to try to gain more fans. Adam said that this is the first time he has listened to live music without focusing on whether or not the singer hit the right notes or if the right part was played. He went to the performance totally open to listen with his heart. I can’t tell you how many times Adam gave me this look of, “Are you serious? Is he reading my mind? This is crazy!” Matthew also had his daughter, Lulu, there with him. Like us, he has two little girls, so that’s just another reason Adam feels he can relate to him. During the interview portion of the show, Matthew was asked if it was hard to be on the road when his girls were so young. Matthew stated that he struggled with it a lot and wondered if it was really God’s will to pursue his ministry while leaving his family at home. He said that God has provided ways for things to work out, and now they are able to home-school their girls so his family can be on the road with him when he goes on tour. This is one of those times when Adam looked at me with eyes that said, “Wow, this guy is totally like who I want to be! What is God trying to tell me? !” Adam has talked often, recently, about wondering if God would want him to be away from the girls and our family to pursue music. After this amazing performance that will be airing at some point on The Message (Keep an ear out, those of you who have SiriusXM! ), we all got to do a little meet-and-greet with Matthew and he signed free CD’s!! Adam is still processing everything that happened in that hour-and-a-half on a Tuesday afternoon! God was definitely speaking and we’ll be keeping everyone updated on the next steps! 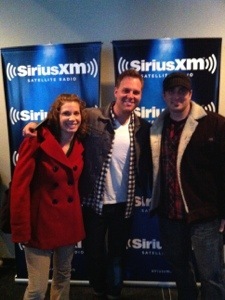 Please check out Matthew West’s music! He’s bringing truth and hope to people in a real way! Artists like him should be supported! I know that he has at least two new devoted fans in Tennessee! Merry Christmas and see you back at A Dreamer’s Wife in 2013! I’ll leave all you dreamers with the lyrics to Matthew West’s song, Do Something! Today, my husband, Adam, is the author of this post! As this year is coming to a close, I thought I’d take a moment to share what has been going on with my music, but more importantly with my heart. I unofficially declared this year as a year of reflection and growth last January, and it has changed me in so many ways. I decided that in order for me to listen to God, I needed to eliminate some distractions in my life, starting with Facebook. Now I realize that to some, that may be the end of the world as they know, it but I can’t tell you how liberating it has been to not be a slave to the never-ending updates. I do think that Facebook is a very effective way to connect with family, friends, and fans and share so many great things with the people we care about, so I’ll probably be more active as 2013 approaches. For so many years, my life and worth as a man has centered around, and been measured by, the amount of “success” I have in my music career. Nashville does a really great job of fostering that feeling of “if I only had a record deal, I’d be happy” or “if Rascal Flatts would just cut one of my songs, I’d have money”. But something happens when you have an amazing, loving, supportive wife and two wonderful daughters that can make you smile so much your cheeks hurt. You begin to realize that life is so much more than what you do. So, I’ve stripped myself of all the pretenses, self-fulfilling prophecies, and expectations, and I must say I’m happier, healthier and more blessed than I’ve ever been. I may not have a producer, manager, publishing deal or a platinum album, but God has revealed to me that I’m loved no matter what. My worth is not found on a tour bus or within the pages of a recording contract. And guess what, you are loved no matter what, too. Now, in no way have I “given up”. Stef and I have decided that I’m going to continue to write, record, and share my songs to any and all who will listen. If I can make a living in the process, that would be awesome, but we refuse to let money, and the prospects of money, drive our decisions when it comes to sharing music that I pray can put a smile on someone’s face or make them look to God. I truly feel like I am finally doing music for the right reason. I still have dreams. I still have hopes. But most importantly, I still have love. I look forward to sharing my music and journey with you all. If you have an inspirational story, please share. God bless and Merry Christmas! Have you watched Nashville on ABC yet? Since the show is shot in Nashville (obviously), I wanted to check it out to see where they filmed around the city! I love the montage of the different views of Nashville in the beginning of the pilot episode. It never gets old driving into downtown, especially at night! Some episodes were also shot at Soundcheck, the rehearsal facility where Adam works, and they are preparing to shoot some more scenes there soon. Keep an eye out for the Soundcheck logo (it was all over the place in the 2nd episode)! Okay, so I know this show is a drama, and things tend to be exaggerated on television and movies, but there is one thing that totally irritates me about Nashville. One of the story lines is about a girl, who didn’t even intend to be a singer/songwriter and never sang into a microphone before, getting discovered at The Bluebird Cafe. 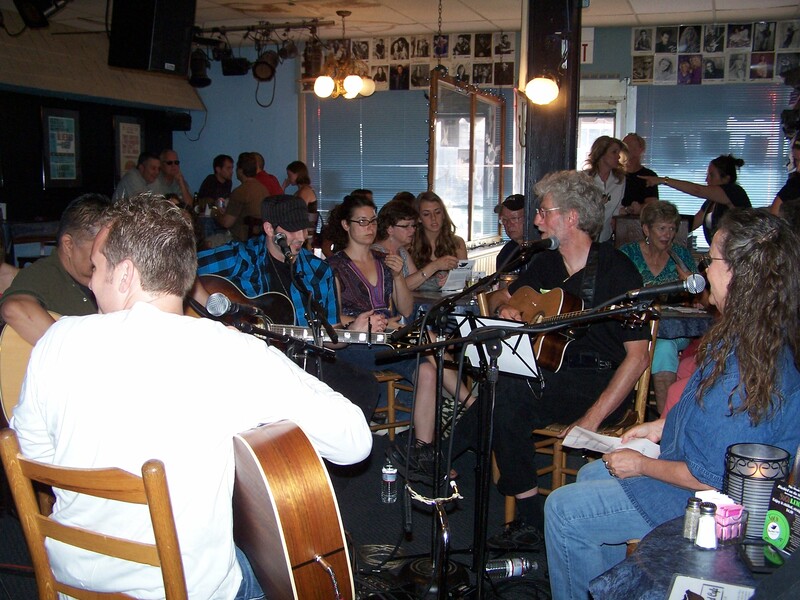 Let me just tell you – no one gets discovered at The Bluebird anymore! That’s so late 80’s/early 90’s! It’s definitely not how things happen nowadays. Record executives usually only go to legendary bars in Nashville in the afternoon for artist showcases. Plus, there are so many talented people in town who are trying to get a record deal, that it is almost insulting to them that they’re featuring a character who stumbles into a huge opportunity the first time she sings at a bar in Nashville. This show is perpetuating the idea to outsiders who aren’t familiar with how things work that “all you have to do is move to Nashville and you’ll randomly get discovered playing out some night.” The main reason to play around town is to network with other musicians and songwriters. Alright, I’m done! I still plan to keep tabs on the show to see how they continue to feature the city and other landmarks. Also, did you watch the CMA’s last night? Adam has been down at the Bridgestone Arena as a ‘tech’ this week. (Thanks for watching the girls all week Mom and Dad!) He knows all of the secrets of who actually played/sang and who used tracks, but I won’t tell! I’m so happy for Little Big Town – they’ve been doing music for a long time and have only started getting recognition in recent years! I also love how Miranda Lambert individually acknowledged how great each of the other nominees were in the Female Vocalist of the Year category! Very classy! If you live in Nashville, or have visited, do you have a favorite place in town? If you caught the CMA’s, do you have a favorite moment from the show? I have to make time to plan my shopping trips each week! Saving money is good! Adam’s daily dinner consists of grilled chicken, whole grain rice, and peas or broccoli. 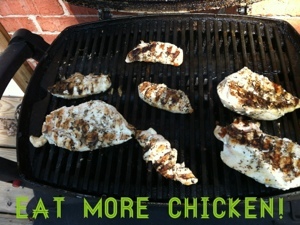 He usually grills out several tenderloins 1-2x/week so his meals are easy to put together. 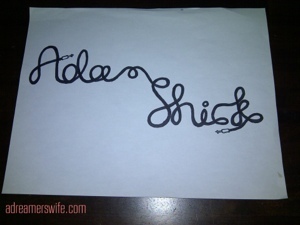 I’m pretty sure this is going to be the official Adam Shick logo! I spent a lot of time last week working on it. I was inspired by Adam’s guitar cables to create a custom font with his name. I actually used a cable to see how I could shape the letters and draw them realistically. Now I just need to get the logo up on the computer and ready for his website, business cards, t-shirts, etc.! Have a great weekend, everyone! Oh, and it’s my mom’s birthday today so Happy Birthday, Mom! Step 1: What’s My Name? As I mentioned about a month ago, Adam and I have decided to make our own opportunities and pursue his career path as an independent solo artist. We have been busy setting goals, gathering information, and putting our creative minds to work! One of the first items on our agenda was to decide on Adam’s official stage name. He has been going by “Adam Lee,” but there is another guitar player who goes by that name and has several websites and accounts. In addition, it is not a very unique name. Adam has chosen to go by the name everybody knows him as, Adam Shick. Yes, the last name needs to be enunciated (say it out loud and you’ll understand why), but at least he won’t be competing for space with too many other “Adam Shicks” on search engines! This change means that Adam is in the process of creating new Twitter, Facebook, YouTube, ReverbNation accounts, etc. Once we get the new official website up-and-running, be prepared for alerts to “like,” “follow,” and “sign-up” to keep up-to-date with his new music and shows. 1. Ariel Publicity I love Ariel Hyatt’s blog and her book, Music Success in Nine Weeks! I’m going through it for the second time to glean all the tips and organize them in my marketing binder. 2. Passive Promotion Great advice broken down into easy to follow steps from a musician, Brian Hazard, who has tried them out already! 3. Mixtus Media A Nashville-based PR firm! They have a great blog with some useful printable resources/worksheets! This site is helpful for authors too! 4. DIY Musician Blog This blog available on cdbaby.com is full of advice and tips for a constantly evolving industry! I think that we have a pitch nailed to describe Adam’s musical style and his artist bio is in the works. 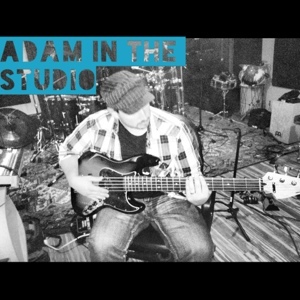 Adam continues to record his latest songs as part of his upcoming debut solo album. We are exploring logo ideas and a photo session will be scheduled soon! I’m so excited to start working on the website! After my last blog post, my cousin Cynthia emailed me a passage from the book, The Power of a Praying Wife by Stormie Omartian. It fit in exactly with where I’m at in life right now and what I hope to be and do. Ironically, this book was given to me by a friend (Thanks, Laurie!) about a year or so ago and is sitting on my shelf unread still… I think it’s about time to dust it off and get reading! All in God’s timing, right? “Whatever God has called your husband to be or do, He has also called you to support it and be a part of it, if in no other way than to pray, encourage, and help in whatever way possible. For some women that means creating a good home, raising the children, being there for him, and offering prayer support. Other women may take an active role by becoming a partner or helper. In either case, God does not ask you to deny your own personhood in the process. God has called you to something, too. But it will fit in with whatever your husband’s calling is, it will not be in conflict with it. God is not the author of confusion, strife, or unworkable situations. He is a God of perfect timing. 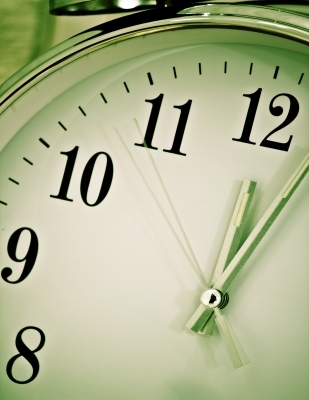 There is a time for everything, the Bible says. The timing to do what God has called each of you to do will work out perfectly, if it’s submitted to God. I love this whole paragraph, but what really struck me were the last few sentences. Adam is so jaded after failed projects that I think he’s a little hesitant. He’s been trusting in me and God to start this new journey. I know he’s excited about it, but I think he’s waiting for some more things to get going before he’ll feel like it’s real and what he’s supposed to do. In the meantime, I’ll keep working, planning, praying and believing! Have a great rest of the week, everyone! We both came to the realization that “independent” is the way to go around the same time. If you’ve read my last few posts (or kept up with this blog at all), you know that I’ve been spending a lot of time reading books and watching shows about using our talents and pursuing God’s will. 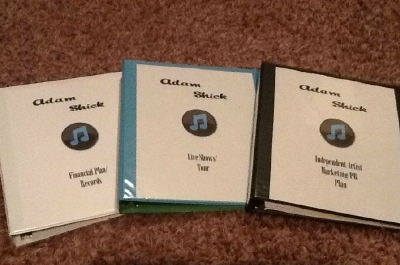 For the past few years, I’ve had an itch to start some sort of business and about a month ago, the obvious idea hit me over the head to step up and help Adam pursue his music career in a hands-on way. I’ve always been supportive, but I left his “music stuff” up to him. I started to research websites, digital distribution of music, promotional advice blogs, etc., and realized that pursuing his career on our own was totally doable. Yes, it will take a lot of time and hard work, but I could see the steps and the opportunities and that was all I needed to get me started! Adam, on the other hand, came to this conclusion after a long weekend of teching at one of the stages at CMA Fest in June. He had listened to about 40 different acts and realized that what is popular right now with commercial country music does not really match up with his values or what his music is about… He realized that he would never get to be true to himself with a major record label deal. So…when I approached Adam about us teaming up to commit to going the independent route, it didn’t take him too long to jump on board. I feel that God has given me a passion and purpose for this. Even though I know next to nothing about the music business, I’m not afraid to jump in and I’ve already seen where God has given me some wisdom and insight that I haven’t had before. I feel that my strengths of organizing, planning, researching, etc., will complement Adam. There are a lot of things that I will be able to take off his plate so he won’t be so overwhelmed and feel like everything is on his shoulders. He can mainly concentrate on making amazing music and connecting with friends and fans. 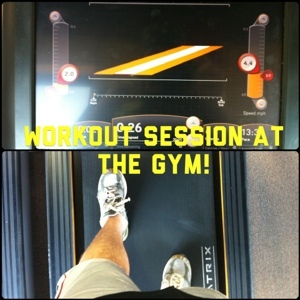 Right now, Adam is focusing on working out at the gym (yes, he did get a membership and a trainer) and recording his new songs! 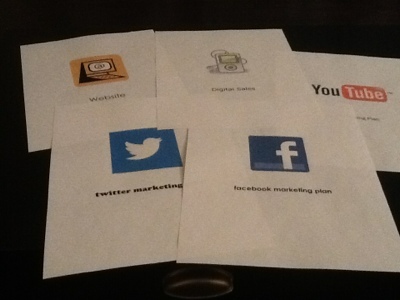 I am working on our promotion and distribution plan. An official website is in the works, as well! I can’t wait to get Adam’s latest songs online for everyone to hear! Many more updates to come! Just a Glorified Personal Assistant?